Our very own Hollywood Insider and Reporter Shannon Rose, is featured in an article published in the Tampa Tribune this past weekend. The article, entitled ‘When Critics Said No, I Said Yes’, was sculpted around Rose’s prevailing successes all while dealing with the life-threatening illness EDS (Ehlers-Danlos-Syndrome)—a condition that effects the nerves and muscles of the body. Shannon explains how difficult it was growing up with the disability—how he came to overcome his predicament—as well as showcasing why he wants to be a role model to those, like him, who have debilitating challenges. “I want to show people that, despite their circumstances, they can do anything they put their mind to. I was told I was going to end up in a wheelchair for the rest of my life, but I knew I was meant for something greater—and it motivated me to do so.” Rose explains. 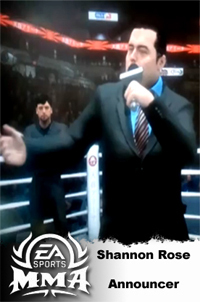 Nobody knew what fate had in store for Shannon when he was granted his wish to meet Hulk Hogan from the Make a Wish Foundation that he’d turn out to be a successful Professional Ring Announcer himself—and now as one of the official ring announcers in EA Sports MMA. To find out more about Rose’s successes, struggles, aspirations, and motivations, the article is available online for your viewing pleasure at HERE in the Life & Health section. A Vote For EDS Today Can Help Save Lives!